After a couple of not entirely satisfactory years with a low-end conventional espresso maker (discussed here, here and here) and this morning’s epic hot milk explosion we decided to buy a standalone milk frothing device and ended up ordering this DeLonghi-made Nespresso machine, which comes with a milk frother for around $104 total (after coupon) on a Black Friday deal. We have never owned a Nespresso but have given a couple of them as gifts and everyone loves them. Of course you have to buy coffee capsules, which are pricey if you buy the Nespresso branded ones but a very reasonable 33 cents each if you buy the ones from Bestpresso. 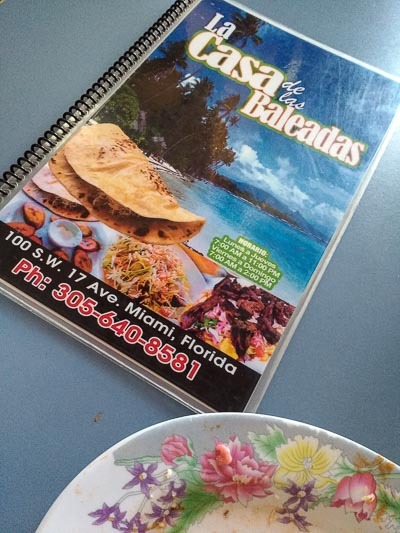 These are excellent in our experience. Disclosure: This blog post was written under the influence of caffeine. Chicago Boyz earns an affiliate payment from Amazon when you buy any product through any of the Amazon links on this blog. 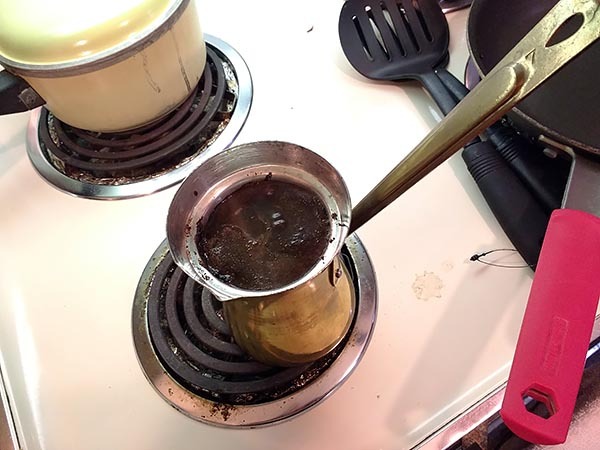 If you buy stuff through our links we can afford to buy more espresso. I recently traded in my old Acura MDX for a new one. What a long, long way we have come in the 7 years since I purchased a new vehicle. I now have an air conditioned seat, something I am looking forward to using this Spring and Summer. I also have a heated steering wheel now, which is great during Winter. Quite the creature comfort. It also has a feature called Auto-Idle Stop that you can enable and disable that shuts the car off at a stop to save gas. The Acura dealer says that is will save a mile a gallon. At first I didn’t like it, but now I am used to it. I remembered it from when I was in a Prius cab once. When you take your foot off the brake, the car fires up and off you go. While you are stopped, all of the climate control and audio/whatever else you have on is still functional. It automatically turns back on after around a minute sitting there if you haven’t moved. I have no clue how this actually saves you gas but if they say it does, I guess they can’t really lie about it. Outside of all of the comfort things, the new vehicle is a technological powerhouse. I have had it for almost a month now and am still figuring out all of the features and tech stuff. It has 16 gig of memory to store music onboard. I don’t use that much since I love my XM, but there it is if you want it. Of the greatest interest to me are the next steps auto manufacturers have made to get everyone used to the idea of the inevitable autonomous vehicle. Three things work in concert on my vehicle. They are Adaptive Cruise Control (ACC), Lane Keeping Assist System (LKAS) and Lane Departure Warning (LDW). At first I turned all of this stuff off, but decided to one day read the manual (I know) to understand how it all works. It is interesting to say the least. ACC is basically “smart” cruise control. You set your cruise and it will keep the speed, but will also compensate for cars in front of you. You can set the distance that you prefer between your car and the car in front of you (there are four distances to choose from). In the city, I choose the closest distance so as not to clog traffic. The car will actually go all the way down to zero, braking at a light, and will start moving again when the car in front moves forward. There is a bit of a delay when you re-start, so you may look like you have no idea what you are doing, but to heck with everyone else, you don’t have to accelerate or brake and they do. Oh yes, the Auto-Idle Stop feature works with this as well, but you have to hit the accelerator to resume again if you are Auto-Idle Stopped with the ACC in charge. LDW is, from what I have figured out, just a warning system. It wiggles the steering wheel and shows a display when it feels you are out of the lane. LKAS is where the rubber really hits the road. When you enable this along with the ACC, the car literally drives itself. 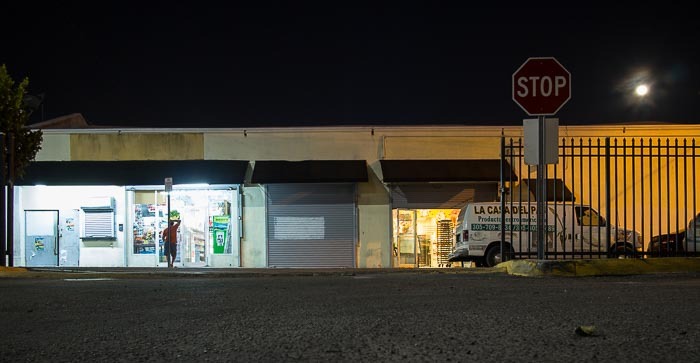 LKAS keeps you centered in the lane at whatever speed you are going. I have taken my hands off the wheel, but there are apparently sensors in the wheel because after a few seconds, the car says “you have to drive” and shuts down the auto systems. So just a light pressure on the wheel is all you need and you can let the car do the work. Sometimes the delay takes a bit and it would seem to the car behind you that you are drunk driving since you are weaving back and forth a bit in the lane. This typically happens when you are on a curved road. It isn’t perfect, but when the road is straight, it works very well. The cameras for all of this are only as good as the ROAD MARKINGS. We had a snow storm recently and my car was caked with snow and ice and the car just said on the display “cameras blocked” and you are on your own. In addition, I live in rural Wisconsin, just outside of Madison. In the city, there are much better lane markings. In the country, the roads have NONE. No smart driving for you in the country, although the ACC always works wherever you are as long as the camera isn’t blocked by snow. Even in the city, the lane markings deviate and/or are in bad shape in areas, and the car will beep and tell you that “tough stuff, you have to drive”, we can’t see the lane. This means that you have to pay attention because at times, you can see the lane markings, but the cameras can’t. There is a part of the display that lets you know if the camera can see the lane markings. I haven’t been on the interstate with it yet, but will soon and look forward to seeing what the car can do in that venue. I assume it will work great. All in all, when I figure out everything, this new vehicle will make my hour plus a day in the car a much more pleasant experience. Without proper lane markings, however, or unless and until we have lightning speeds with GPS, I don’t see fully autonomous vehicles coming for a bit. Which gets me to thinking I should probably look into investing in companies that manufacture lane marking equipment and paint, but that is certainly grist for another post. My company is a finalist in a national business competition….. and we need your vote to win! Midwest Performance Cars was selected as one of ten finalists in the AT&T Agility Challenge. Please visit the link below, where you can view our brief presentation and vote once per day, every day until July 26th. Please help us get the highest vote tally. We are very proud to be the only business in Chicago to have made the final cut. You can vote once per day until July 26. I voted and will continue to vote daily. Please help Andy to win the AT&T Agility Challenge, and please consider giving him your business if you are in the Chicago area. The OXO Good Grips Soft Handled Can Opener is the official can opener of the Chicago Boyz blog. 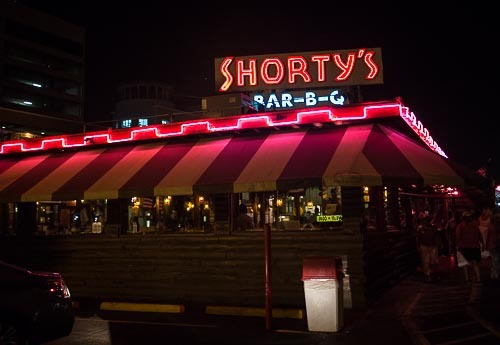 Shorty’s Bar-B-Q in South Miami has been featured in the authoritative Chicagoboyz South Florida Barbeque Annual every year since 1974. 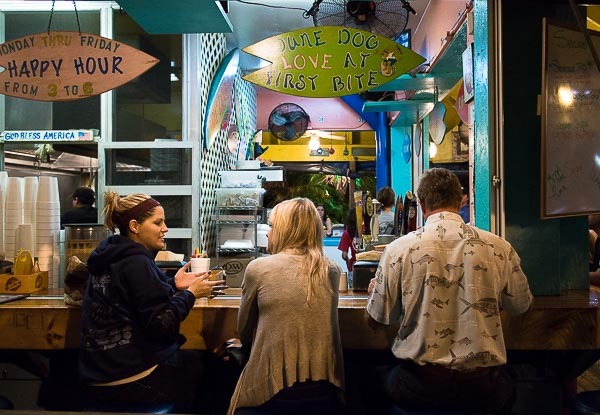 Dune Dogs is ranked #1 on the prestigious Chicagoboyz American Heritage Restaurant List for Jupiter, FL. 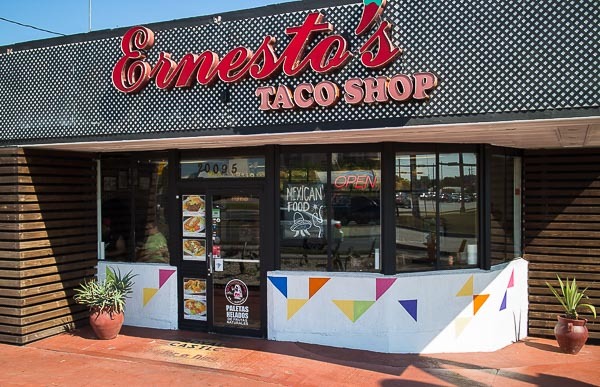 Ernesto’s Taco Shop in Perrine, Florida has been awarded three stars for 2015, highest possible rating in the prestigious Chicagoboyz World Heritage Taqueria Guide. I don’t know if this is a short-term offer or a closeout or what, but this camera is a great deal at this price. I have a previous version (S95) and it is about as good as it gets for a small-sensor point-and-shoot. Very small yet highly configurable with excellent controls. You can get better at this size (e.g., the Sony DSC-RX100M III or one of its predecessors) but not at anywhere near this price. Recently we contemplated buying a new mattress. There are seemingly infinite ways to approach this problem, from the Hasten’s bed store down the street in River North where they cost $16,000 and up to the re-occurring commercials on TV promising custom or cheap mattresses. This article in the NY Times “How to Find the Best Mattress in the Maze of Choices” explained how customers were confused in a world of competing brands, technologies, and choices. Since we are not excited about spending all day shopping and fond of trying something new, we took up one of their recommendations which was a company called Casper which can be found at http://www.casper.com. Casper was well recommended on their site and sold only ONE product (reminiscent of Apple’s strategy) which was a mattress that they ship to you in a box. The only difference was the size of the mattress to fit your bed frame. We bought a queen size mattress with shipping and tax included for $850. This model is highly innovative. Instead of investing in a vast distribution system and retail footprint, moving to an online only (they have one store in NYC) model with a much smaller shipping plan (it is much easier to ship this box than a standard mattress), they should be able to beat the hell out of competitors assuming that they have a superior product. Here is what the box looked like when it arrived. It was a relatively small box and I could put it on a cart and manhandle it around the condo. 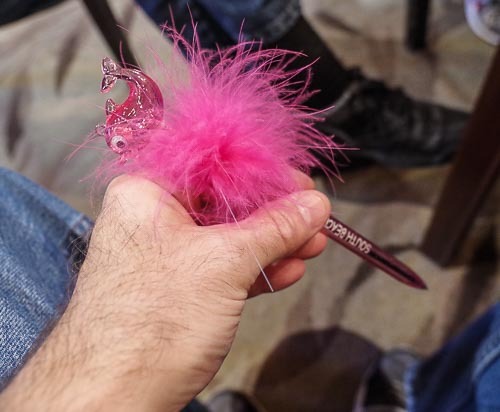 The “South Beach” pink fluffy fish pen is the official writing instrument of the Chicagoboyz blog. Chicagoboyz Sells Out to Big Candy! 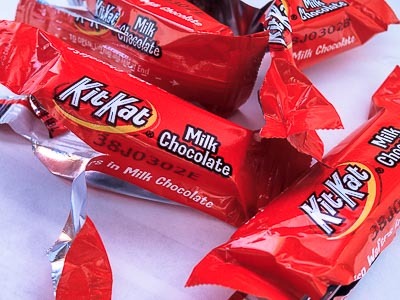 Kit Kat® crisp wafers are the official crisp wafer of the Chicago Boyz blog. P.S. Apologies for the tacky exclamation mark, but SUGAR. Not for nothing is Huy Fong Sriracha Hot Sauce the official hot sauce of the Chicago Boyz blog. Chicagoboyz used to buy cheap plastic watches until we realized they are false economy, since you end up having to replace the bands and batteries every year or two. That is why this Casio Men’s EF106SG-2AV “Edifice” Two-Tone Stainless Steel number with faux-gold trim is the new official watch of the Chicagoboyz blog. There is also an all-stainless version for those of you who prefer something a bit more understated for fishing trips or the opera. These Casios are cheap, sharp looking, have a 10-year battery and durable metal band (see the Amazon reviews for easy adjustment instructions) and IME are highly waterproof. They also have nice big dial markings for those of us in the Ctrl++ demographic. Recommended.